Free Flow Gutter Guard has the artistic design that makes your home look modernized by blending your gutters with the shingles and hiding unsightly metal flashing from street level. FreeFlow Gutter Guard is made of .024 aluminum. 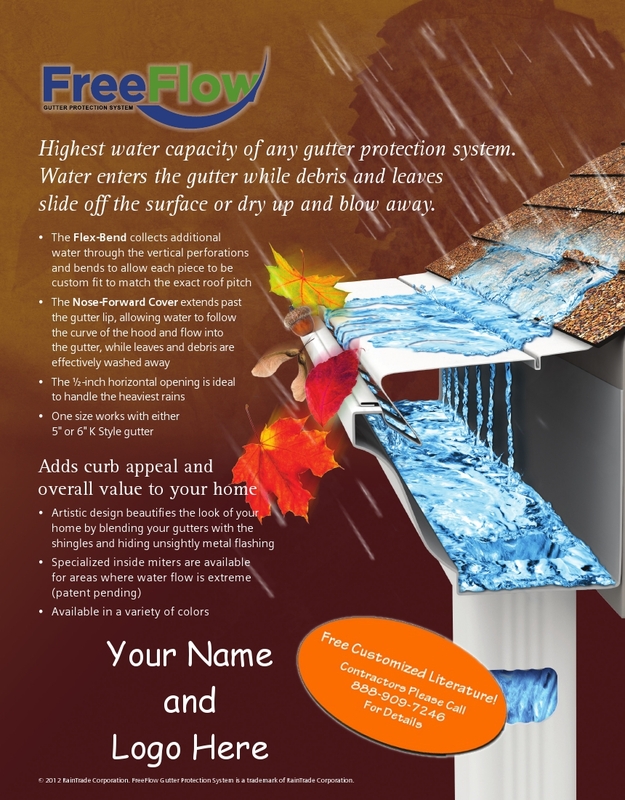 The Free Flow Gutter Guard works on the technological rule of water adhesion. The design of this gutter guard allows water to enter the gutter while keeping leaves and debris from getting in. 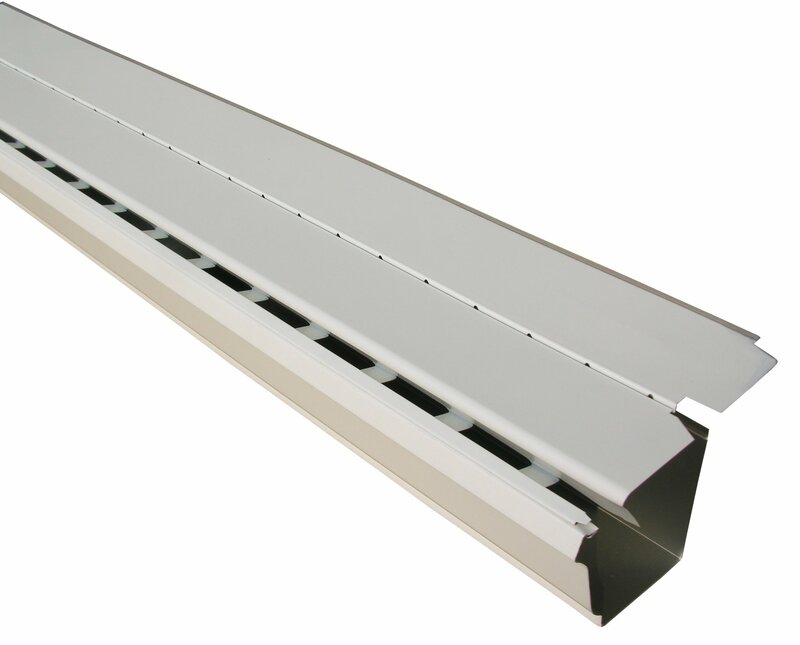 The gutter guard design allows the Free Flow Gutter Guard to be custom-fit to any home by adjusting it to any pitch of the roof. The 1/2 inch horizontal opening is ideal to handle the heaviest rainfalls and to keep out debris. The Free Flow Gutter Guard has a low profile design that decorates the look of your home by blending your gutters with the shingles and hiding ugly metal flashing. It will add to the curb appeal and overall value of your home.